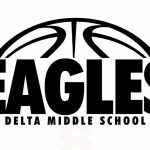 We will recognize our Swimmers/Divers, 6th Grade Girls Basketball team, and Wrestlers on Thursday March 9th at 5pm in the Delta Middle School Cafeteria. All students need to have school issued uniforms turned into their coach or athletic office by this date. Athletes will stay after school to play in the gym and have pizza. 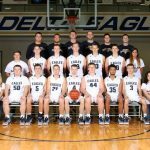 The Delta Eagles went to Shenandoah and picked up two victories. The A team won 30-15 lead by Lilee Lamotte with 12 points and Kalynn Logan with 10 points. The B team won 15-8 lead by Abby Rouse with 11 points. The 6th grade girls welcomed Wes-Del to town on Wednesday night. Lilee Lamotte lead the team with 15 points and 11 steals. 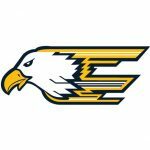 Kalynn Logan aslo added 8 points as the Eagles went on to win 43-8.